These tasty treats come in a 3 pack of 4 oz cups and are loaded with 4 grams of protein per serving! Additionally, each cup has only 100 calories and are low in fat! Glitter Gurl and I recently tried three different flavors, Dark Fudge Swirl, Strawberry, and Honey Swirl, all in one sitting. Probably not what Healthy Choice had in mind, but eh, life is short. I found the Greek Frozen Yogurt at my local big box store for $2 a package. If I had access to a printer I could have saved $1 off of each package with a coupon offered on the website. Next time I'll be better prepared. Also to save you the hassle, this frozen yogurt is NOT in the ice cream section, it's located in the frozen food section near all the other Healthy Choice meals. We were both really pleased with the taste, it was smooth and creamy, and loaded with flavor, plus no bitter after taste. During our first taste test, there was no need to thaw as we tore right into them as soon as I walked int the door. However, the next day after being in our home freezer all night, the consistency wasn't quite the same. So, I do recommend letting the cup thaw on the counter for a few minutes. I understand that the whole point of Healthy Choice packaging is about portion control, but I was a little disappointed in the small size. Apparently I have been delusional about the amount of dessert one should eat at one time. I'm trying to do better in that department. 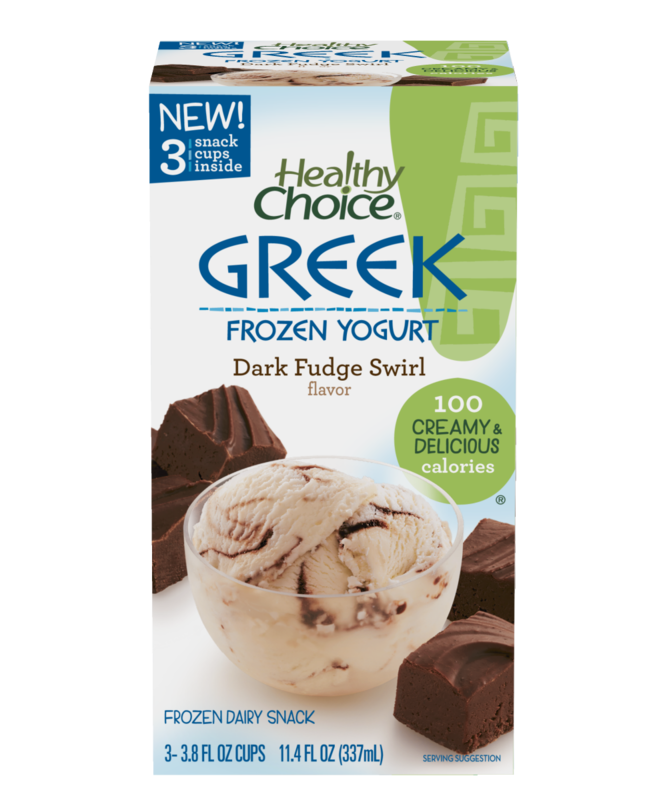 · Healthy Choice Greek Frozen Yogurt is made with real nonfat milk, yogurt cultures and dairy protein to create just the right creamy tartness. · Perfectly portioned at 100 calories with 4g of protein per serving, Healthy Choice Greek Frozen Yogurt is the ideal anytime treat! · Healthy Choice Greek Frozen Yogurt Dark Fudge Swirl, winner of the Shape Magazine 2013 Snack Awards “Best Night Bite,” is the perfect 100-calorie treat to get your evening chocolate fix. 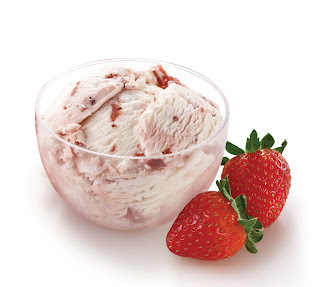 You know you want to try this for yourself so grab a coupon and run to your grocer's freezer. I don't think you'll be disappointed!